Samsung is doing a good job of rolling out the Android 9 Pie update to its non-flagship handsets this year. 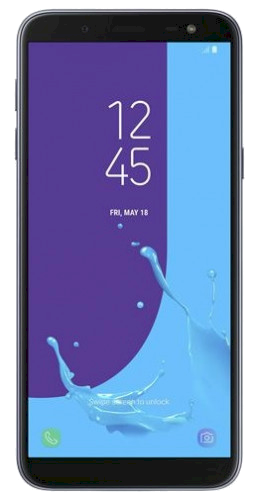 It has already updated a handful of devices to the latest and greatest iteration of Android and the Galaxy J6 has now joined the list. Samsung today rolled out the Galaxy J6 Android Pie update. This follows the release of the Galaxy J8 Android Pie update. That handset received this firmware update merely three days ago. Russia was the first market to receive Android 9 Pie for the Galaxy J8. In this particular case, Italy is the first market that’s getting the Android 9 Pie update from Samsung for the Galaxy J6. The company is rolling out firmware version J600FNXXU3BSD1 for the device in the country. It’s also available for download from our firmware section. Unlike the Galaxy J8 release, this firmware doesn’t include the latest security patch for the month of April 2019. It comes with the previous month’s patch. Other than that, expect to find all of the new features that are part and parcel of Android 9 Pie. Samsung’s new One UI custom skin is onboard as well. You can check out our One UI feature focus series to learn more about them. The Galaxy J6 Android Pie update is now being rolled out over-the-air. It may take a while before the update goes live in markets across the globe. You can download the firmware update from our database immediately. Does it include volte feature?please provide full feature of j6 after pie update…. Update galaxy j6 plus pliz ? But i want to update android pie for Galaxy J6 on my phone? When the one ui update for the samsung galaxy a8 plus is coming to Trinidad and Tobago? Android Pie is also rolling out for the Tab S4 SM-T835.